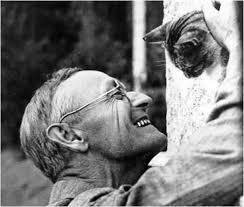 Nobel Prize winner Hermann Hesse was born July 2nd 1877 in Calw, Southern Germany. He was raised in a pietist family; pietism having its origins in the Lutheran Church of Germany and its philosophy was utter devotion to God above all others and respect for family. Throughout his life he tried to rebel against his religious upbringing but did not abandon Christianity. He held a sceptical view of mainstream religion and consequently strove all his life to unify the peoples and religions of east and west. He was particularly drawn to Buddhism and Hinduism. 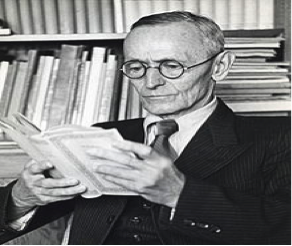 Hesse’s parents both took the teachings of their Protestant Christian missionary society to India, and Hermann Hesse would later take his own journey to India but for a very different reason. 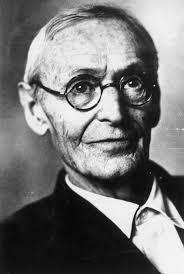 Hesse’s father, Dr Johannes Hesse suffered from depression, ‘melancholia’ and headaches; illnesses which would also afflict Hermann in later life. He exhibited the first signs of depression at school, perhaps as a result of the conflict he felt between the pious religiosity of his father’s Baltic background and the more free, light-hearted French-Swiss ancestry of his grandmother’s side. From an early age his mother remarked on his strong will and obvious intellect and feared for his spiritual well-being. His school years continued to see him in conflict with his parents’ wishes for him. He rebelled and played truant from the Evangelical Theological Seminary, which he attended from 1891. He attended several different schools and, following a suicide attempt in 1892 was placed in a mental institution, then a boys’ institution. He was obviously becoming troubled but he nevertheless managed to complete his education. 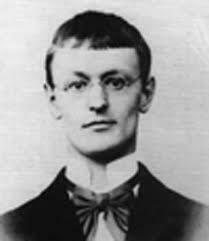 After this, he went through several jobs in bookshops and tried a mechanical apprenticeship, but the mundane nature of these only served to convince Hesse that his destiny lay in writing. His first published works however, One Hour After Midnight and Romantic Songs, were not a success. 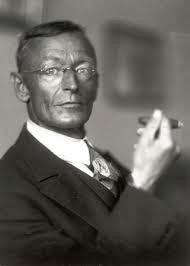 In 1904 Hesse married Maria Bernoulli and they produced three sons while living in Gaienhofen and his freelance writing career became more successful. 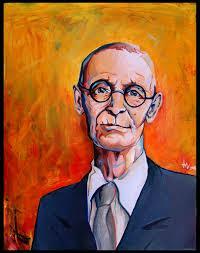 He published his second novel and produced many short stories and poems. 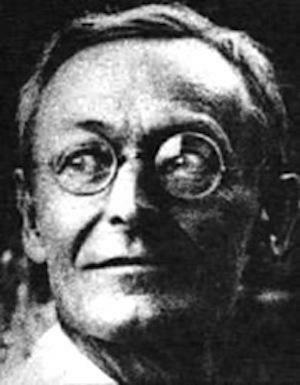 The marriage began to flounder and Hesse left in 1911 for a trip to India, but ended up in Sri Lanka, Indonesia and Burma. Though he visited India only briefly it led to his most well-known book Siddhartha. His return to Germany did not mend his broken marriage. The First World War, during which he was declared medically unfit for service, enhanced his humanitarian ideals. He was critical of the war and of National Socialism especially. He was concerned not with the partisanship of politics but with the promotion of human welfare. 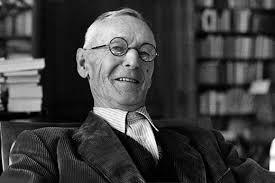 He co-established a POW centre in Berne and wrote anti-war essays in German newspapers. 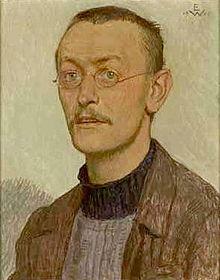 His work was classed as ‘undesirable’ by the Nazis, who refused to publish his work well into the 1930s. During the final years of his life he wrote mainly short stories and poems, again with his childhood and nature as their themes. He also dedicated himself to watercolour painting. 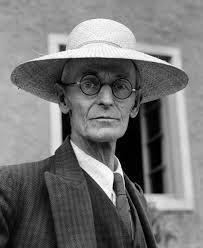 Despite his earlier ill-health he lived to 85, dying on August 9th 1962.